India is known as the land of varieties—you get to see varieties right from food, culture, customs and traditions, festivals to even clothing. The beauty of Indian wear is that not only there are attires that represent India as a whole, but also apparels that represent a particular Indian culture or a region. The tastefulness and appeal of Indian kurtis have been maintained since times immemorial. With the development and presentation of new patterns and mold, creators mixed the western and ethnic sensibilities together and brought forth combination wear which shocked the worldwide design field. The exquisite patterns, cuts and solace part of kurtis is what add to their beauty. 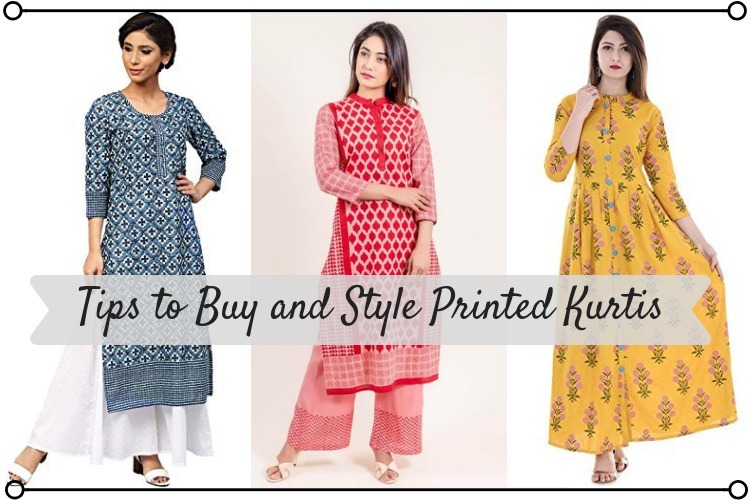 Printed kurtis can be pretty vague and need minimal styling. If you like your look quirky, you can choose to go for some upbeat jewelry such as silver jhumkas, long chunky pendant chains, or you can also pair it with chunky silver necklaces. Leggings are like the other pair of skin you can own. They are very comfortable and trendy. Pair your printed kurtis with leggings and it forms a perfect casual or even semi-formal Indian attire. The most outgoing outfit, fitting in the raging indo-western fashion world are ripped jeans. A long kurti is an ideal choice for this look. A gift of fashion to woman-hood are culottes. They are breezy and trendy pieces of fashion. It is equally suited for formal and informal events and is super comfortable. Another boon from the fashion in industry are jeggings which are a combination of jeans and leggings. With the comfort of the leggings and the sturdiness of jeans, this clothing is best when paired with kurtis to give modern chic vibes. Palazzo is one of the trendiest pieces right now in the fashion market. It can be paired with multiple fabrics and patterns to give a diversified look. It adds richness to the ensemble and is a perfect match with kurtis.